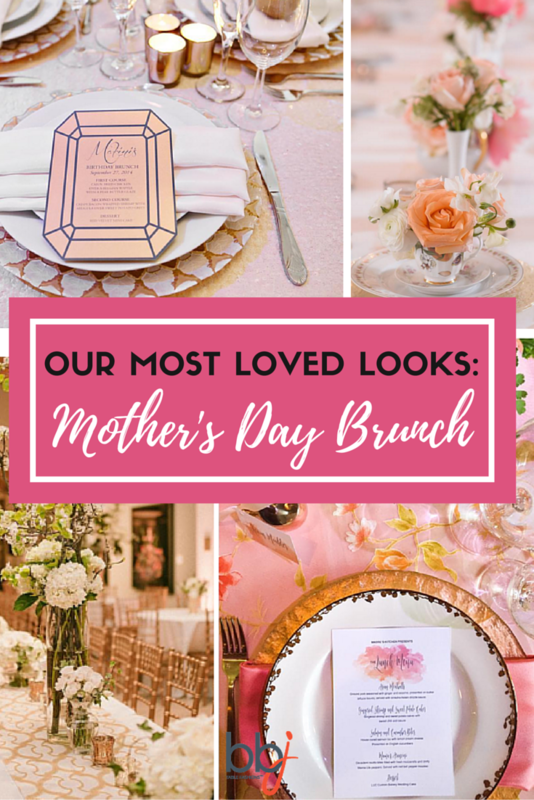 Looking for inspiration for a truly gorgeous Mother’s Day brunch? Check out our most loved looks from Instagram. 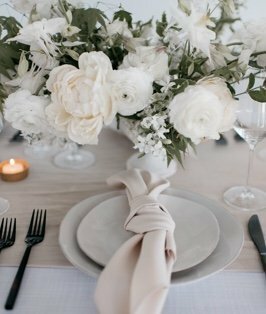 White table linen is the perfect canvas for this sweet, floral look. 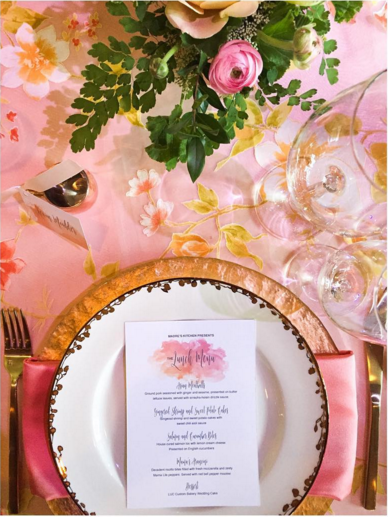 The crisp white linen is accented with varying shades of pink floral arrangements. 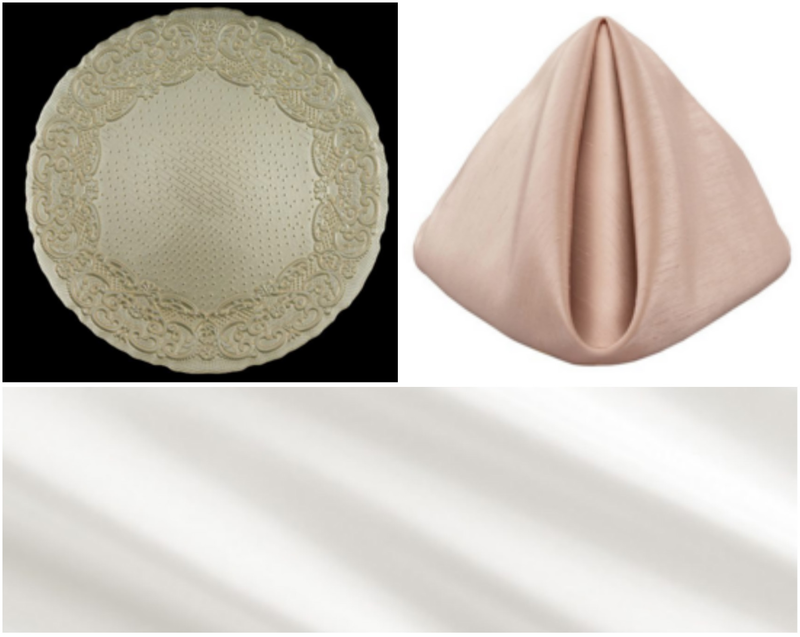 Delicate Vanilla Lace charger plates and a pale pink Cameo Shantung napkin bring the look together. It’s a feminine, elegant look, perfect for your Mother’s Day brunch. Pastel shades, sweet florals, and a wash of pearly elegance are absolutely perfect. To get this look, start with White Shantung table linen, then accessorize with a Cameo Shantung napkin and the Lace Vanilla charger plate. This look is sophisticated and sleek. Towering centerpieces give a burst of fresh green color. 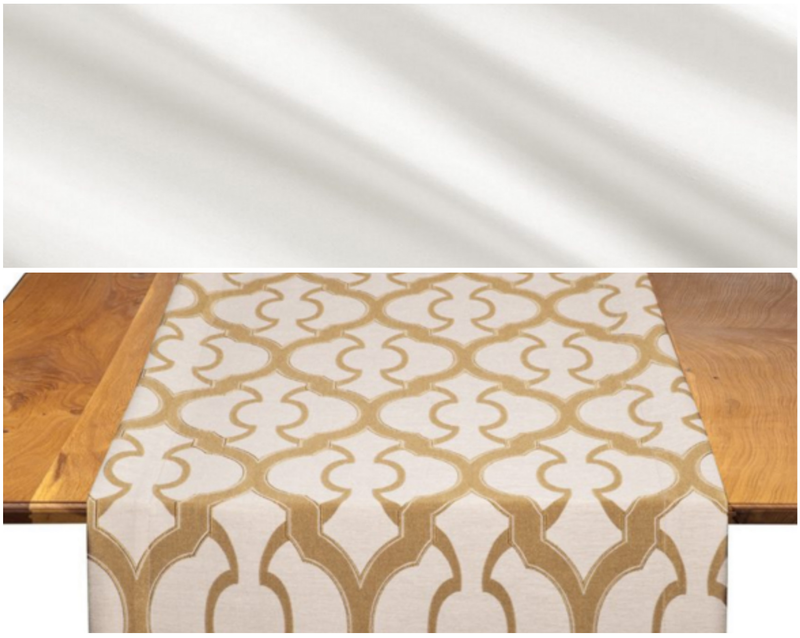 Tables lined with gold printed runners are perfectly accented thanks to a crisp white table linen. Perfect for a sophisticated, Mom, this look incorporates beautiful springtime flowers with opulent metallics. 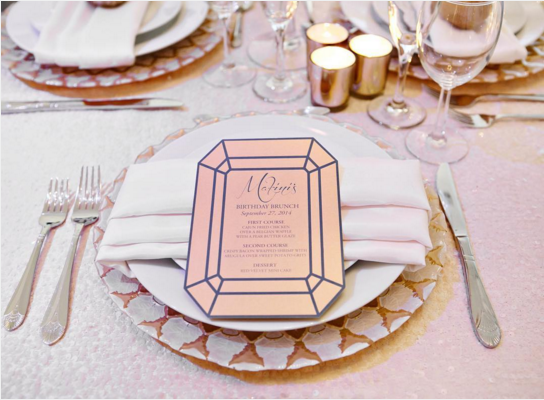 To get this look for your own event, we recommend using White Shantung table linen with Gold Miramar table runners over it. We love the way this look brings gemstones to mind. How cute are the place card menus? For this look, a subtle sparkle from the Ivory Gabriella table linen sets the table. 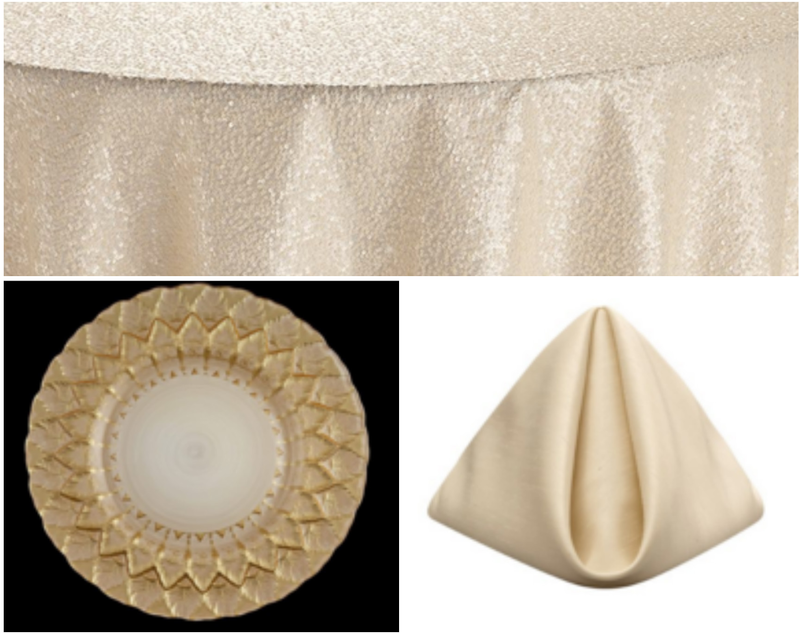 Florence Gold Cream charger plates add visual interest, and Ivory Shantung napkins add smooth elegance to the look. It’s high-end and couture-esque, perfect for Moms who love glam. This look is fresh and modern! The pop of bright colors is perfect for May. 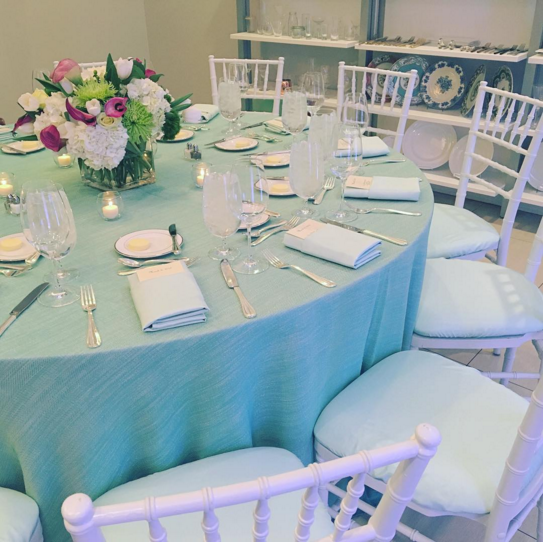 Turquoise table linen set the stage for this event. Complement this look with coordinating, mint green elastic chair pads and matching napkins. 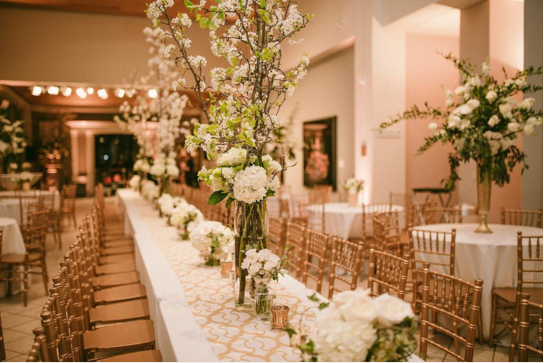 For a bit of contrast and fun, we love white chairs and the white, green, and orchid flower arrangements at the center of each table. Want this look for your event? 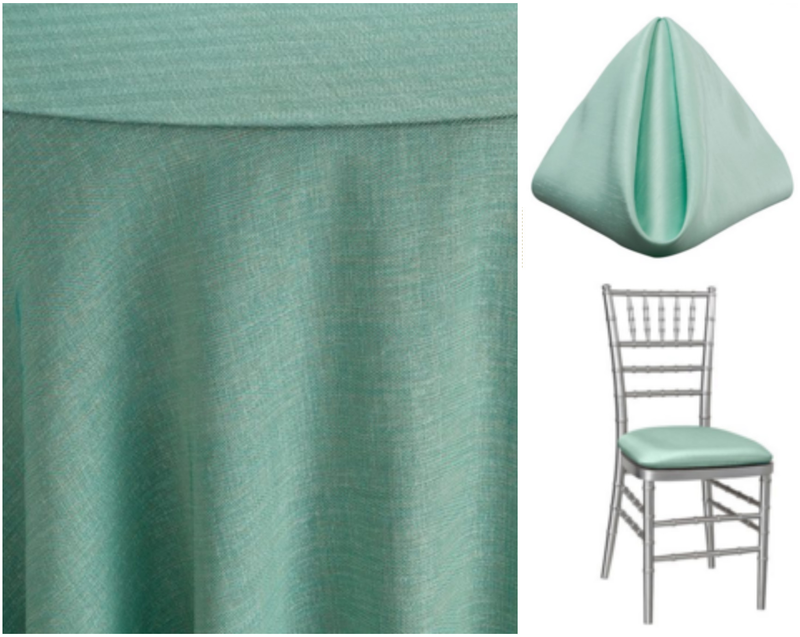 Start with the Lagoon Gables overlay, and accessorize with the Julep Shantung napkin and Julep Shantung elastic chair pad cover. Finally, we love this look because of how unique the table’s overlay is. 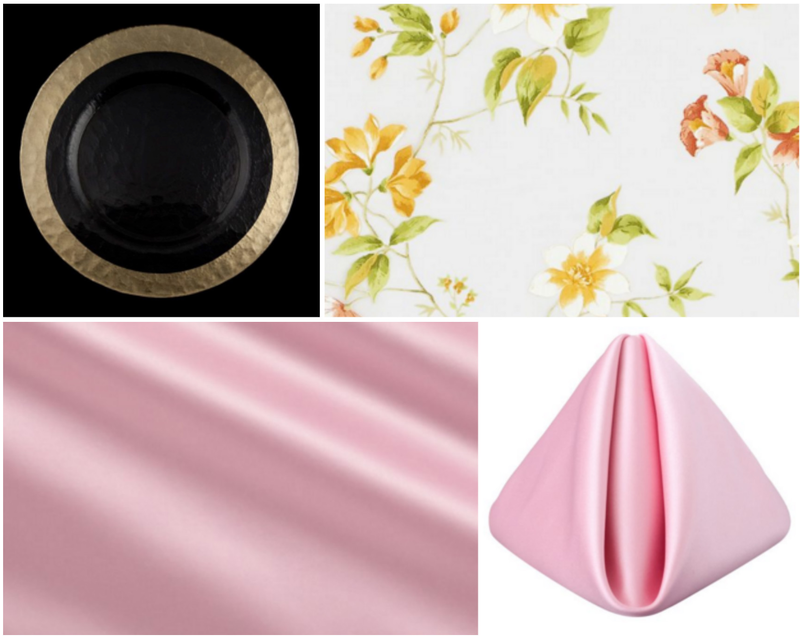 The look starts off with a perfect Pink Lamour table linen. The Savannah Sheer overlay gets draped on top. This creates the illusion of flower petals being strewn across the table. 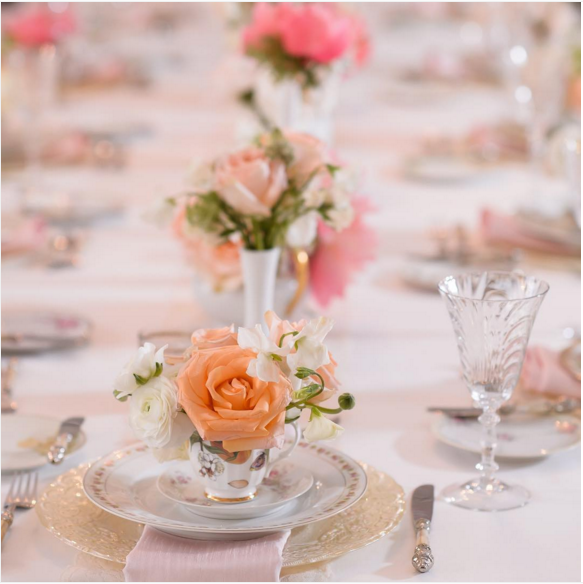 The same shade of Pink Lamour is used for the napkin, and the look is topped off with the Ice Clear with Gold Rim charger plate. This is a whimsical and unique look that any mother could love! Which look would your mom love best? Tell us!